The tiny house trend has been around for several years. 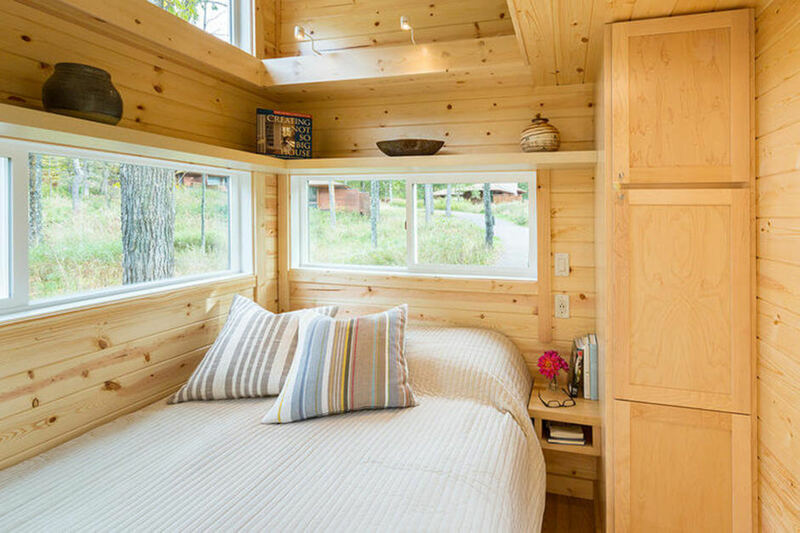 Tiny homes became more mainstream as the housing market tanked and the economy suffered, but tiny homes have stuck around even as the economy has recovered. So why go smaller? Energy costs have continued to move upward, and smaller homes consume significantly less energy than traditional homes do. Home sizes in general have also decreased in the past few years, and there is much less focus on a home as an investment in the future. It doesn’t hurt that tiny homes are a fraction of the cost of a traditional home, either. Here’s a look at some of the tiny homes for sale in America right now. Southern California is one of the most expensive places in the country to buy a home. So a tiny home community like the Golden Palms Village can be a great way to make California a more affordable place to own a home. For just under $60,000, you can own a 400 sq. ft. home in the gorgeous San Jacinto Valley. 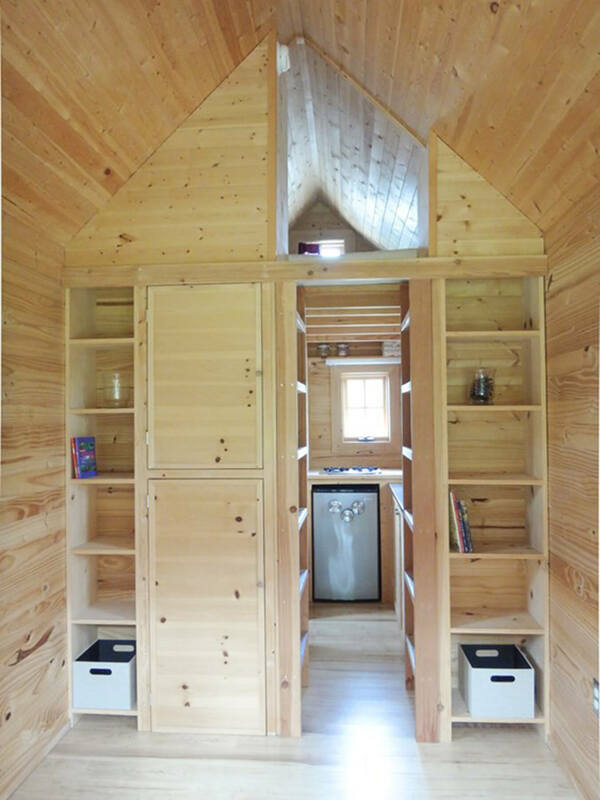 This tiny home includes a full-size kitchen with a nook for dining, as well as a full bathroom, a master bedroom, and closet space. The home even comes with a patio space, perfect for enjoying California’s mild temperatures. Golden Palms Village also has pools, a fitness center, and laundry facilities. Read more here. If you read The Boxcar Children as a child, you probably dreamed about living in a shipping container. If so, this is the tiny home for you. 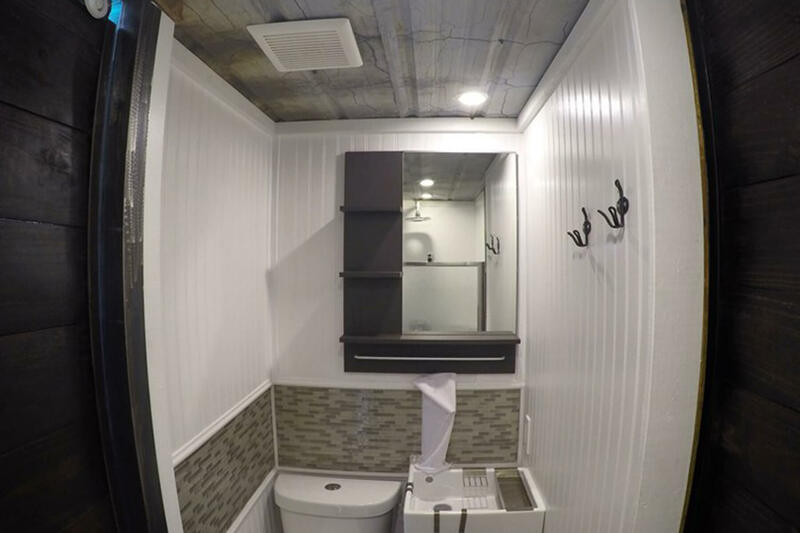 This 20-foot recycled shipping container is $35,000 and is 160 sq. ft. The home includes all appliances and furniture, including a full bed and a twin pullout bed. The home comes with lighting, a water heater, and everything else you’d need to live comfortably in a shipping container. See the listing here. The Hiatus is the prototype tiny home that launched Tongue & Groove. The exterior is made from blue pine milled in Bend, Oregon. The interior windows and birch plywood give the home an airy, modern look. This 187 sq. ft. home can be yours for just $50,000. The home even includes a French door. See more here. This 500 sq. ft. home is also just under $60,000. It’s in a quiet community and sits just across from a lake. It features two bedrooms and a full bath. 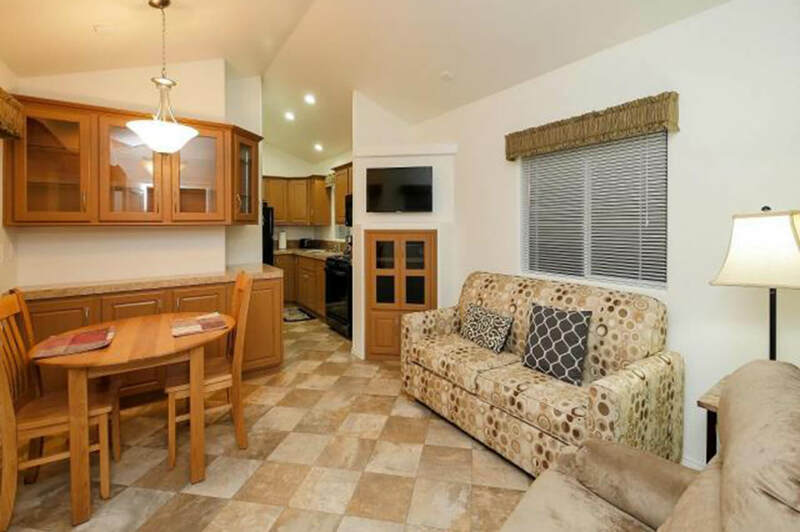 It even has central air conditioning and all appliances, including a full-size washer and dryer. Check out the listing here. This home was built by The Tumbleweed Tiny House Company in 2010 and is for sale for $42,900. The interior is 176 sq. ft. 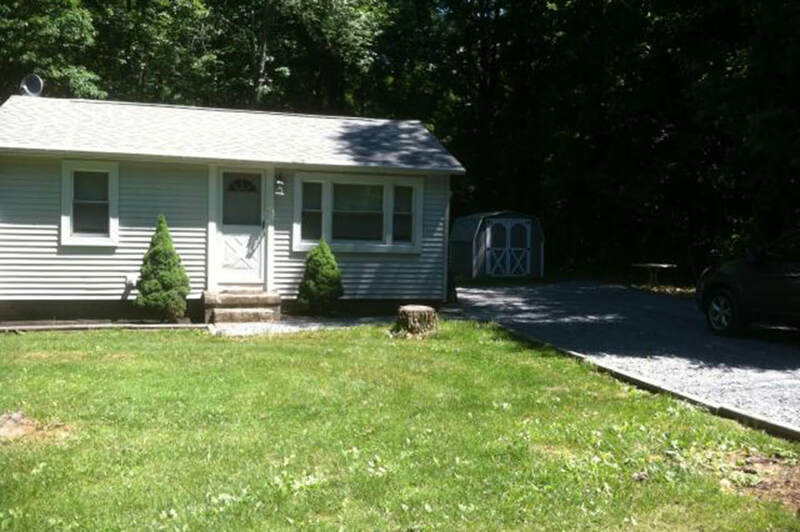 It has a great room, kitchen, bath, and storage on the main level. The loft on the second level holds a queen-sized mattress (and not much else). 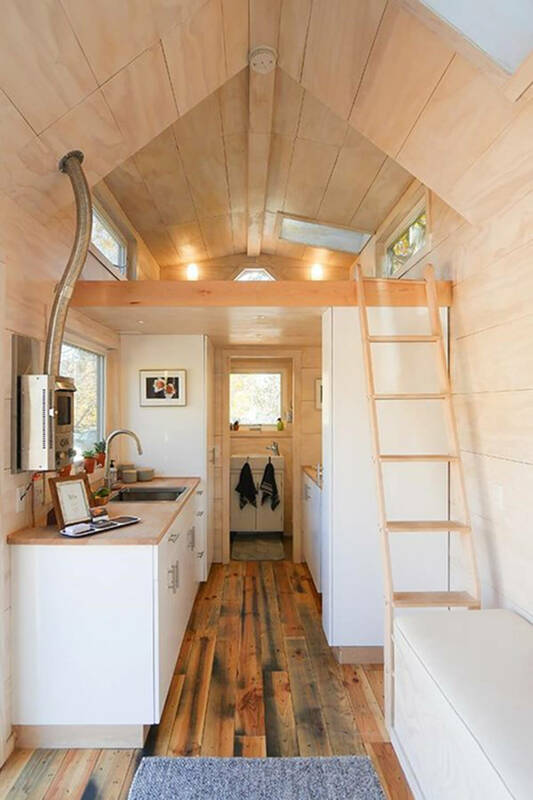 Like many tiny homes, this one is on a trailer and can be moved wherever you’d like it to go. Read more here. Featured image courtesy of Escape Traveler.